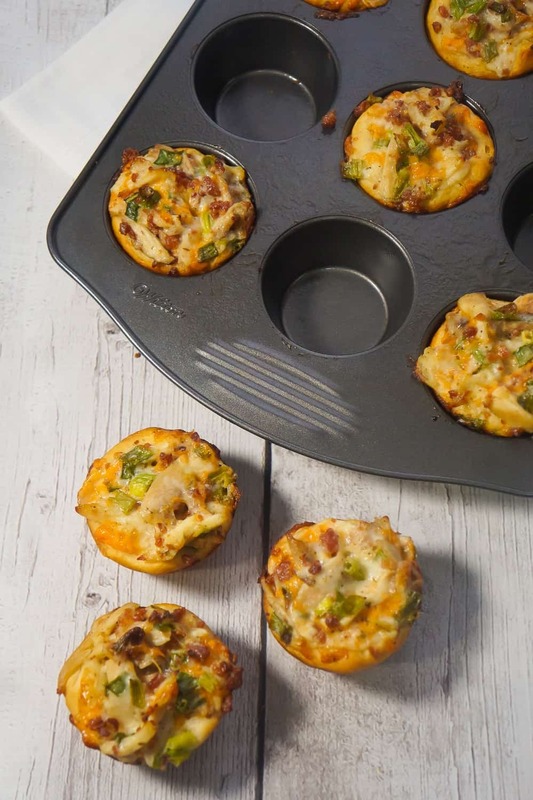 Chicken Bacon Ranch Biscuit Cups are a fun and easy party food. These biscuits loaded with rotisserie chicken, cheddar cheese and bacon are a delicious hand held snack. 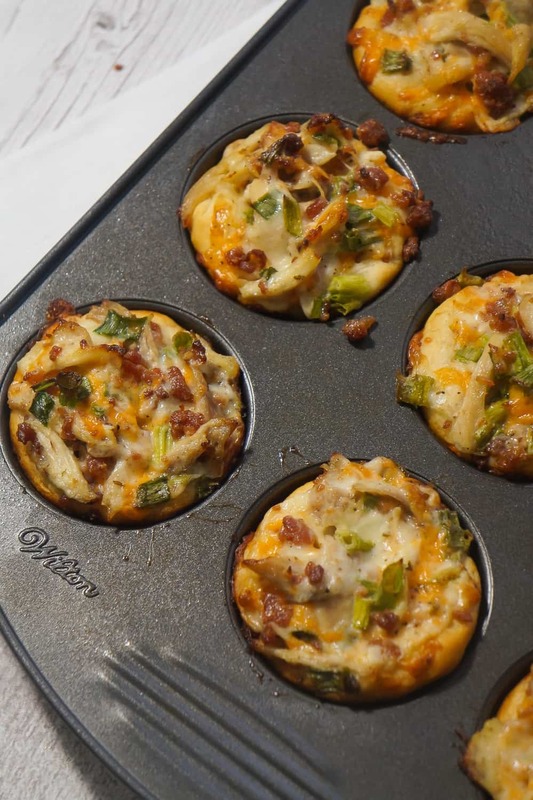 Watch the video to learn how to make Chicken Bacon Ranch Biscuit Cups! 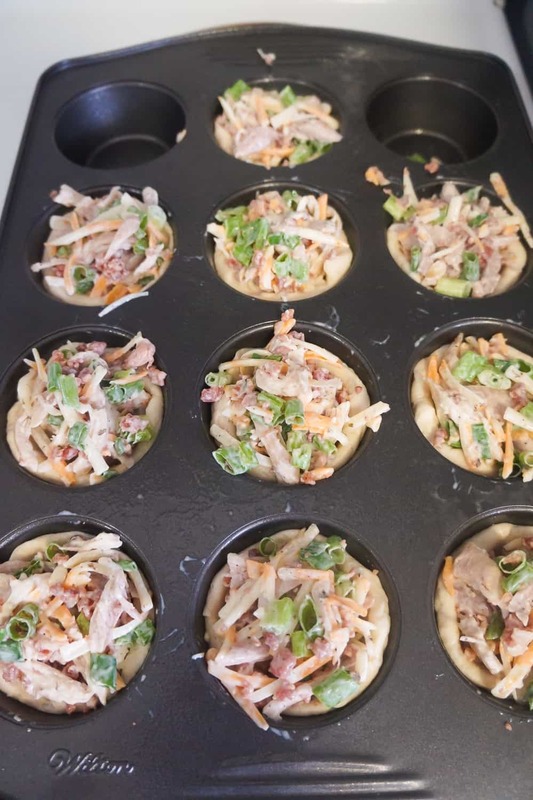 To make these chicken biscuit cups I started by combining some shredded chicken with real bacon bits, shredded cheddar cheese, green onions and ranch dressing. I stirred until all the ingredients were coated with the ranch dressing. 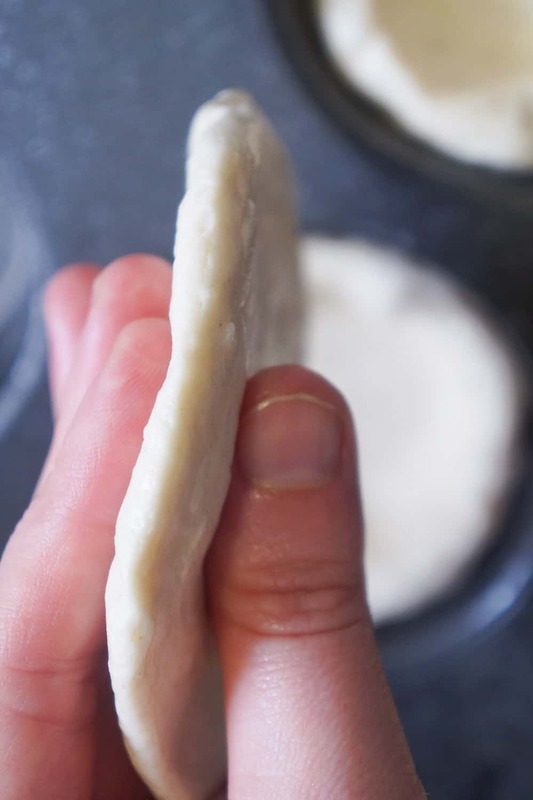 Then I took some Pillsbury biscuits and used my fingers to flatten them out. I placed the flattened out biscuits in to a greased muffin tin. Then I scooped the chicken mixture into the biscuit cups. It is okay if the filling comes up higher than the sides of the biscuit cups because the biscuits will rise as they cook. I baked the chicken cups until the biscuits were golden brown on top. The biscuits are crunchy on the outside and filling is moist and packed with flavour. 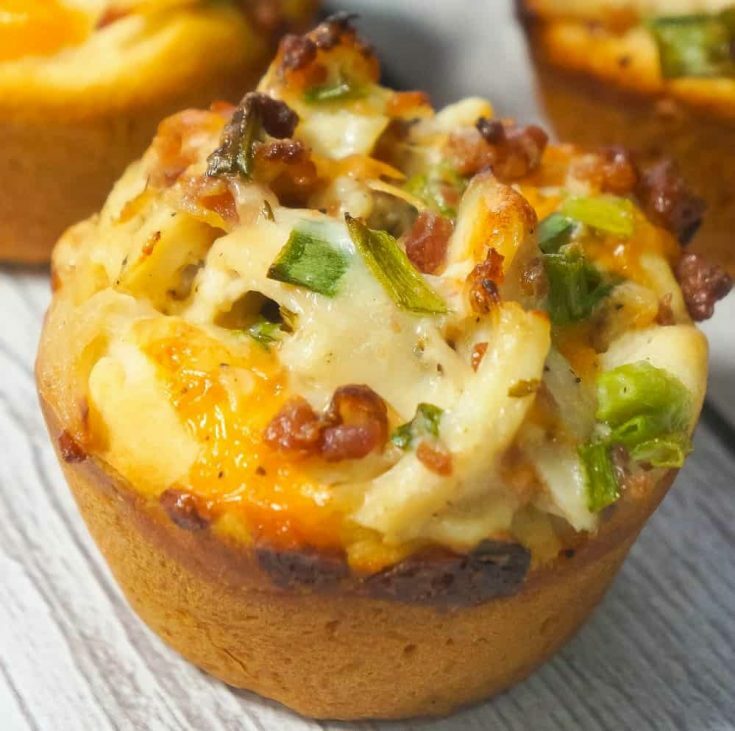 Serve these Chicken Bacon Ranch Biscuit Cups at your next party. If you are looking for more party food ideas check out Sweet Chili BBQ Chicken Sliders, Mini Waffle Maple Bacon Chicken Sliders and Everything Bagel Cheesy Bacon Pull Apart. Another easy party food recipe. 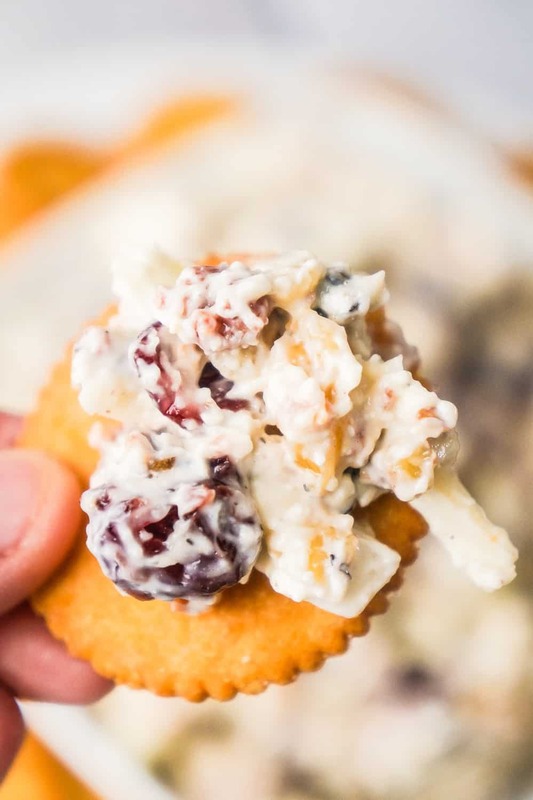 Check out this Bacon Cranberry Walnut Dip! 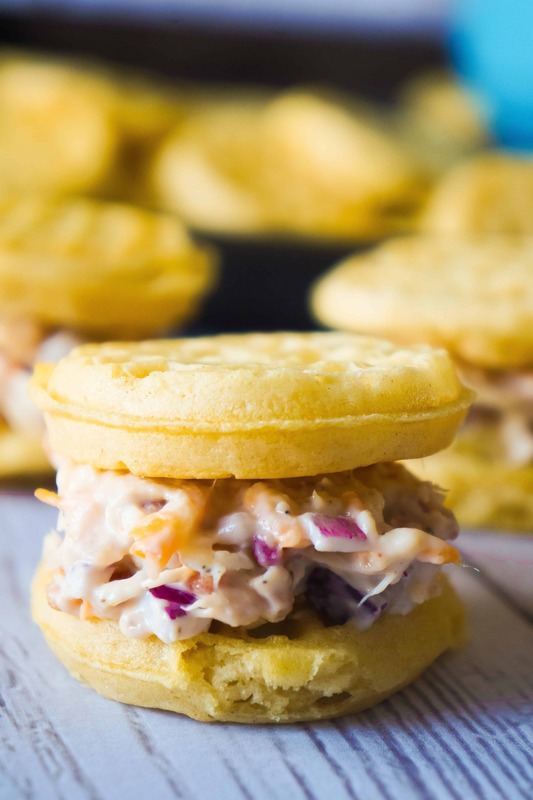 Be sure to also check out Mini Waffle Maple Bacon Chicken Salad Sandwiches! Another easy chicken recipe. 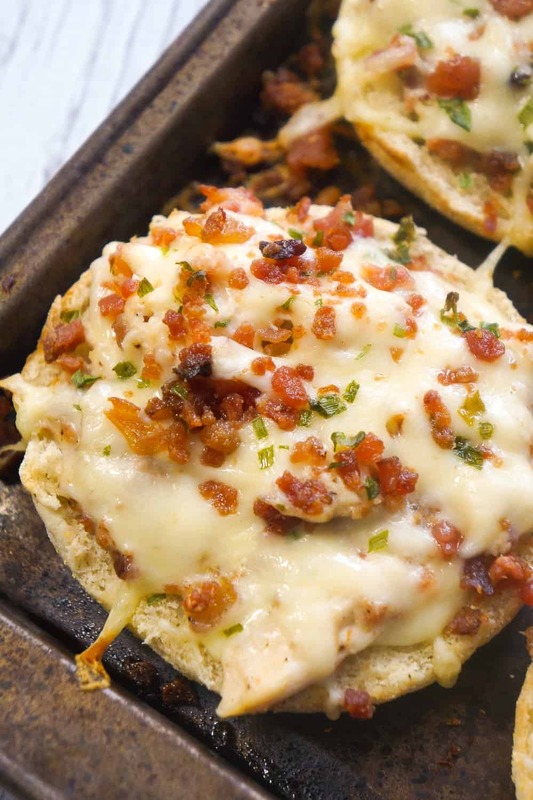 Check out these Bacon Chicken Alfredo English Muffins! 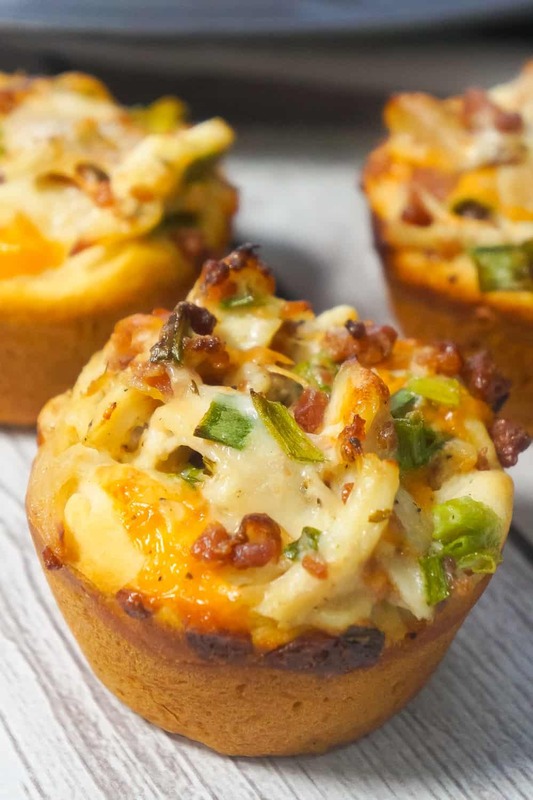 Chicken Bacon Ranch Biscuit Cups are a fun and easy party food. These biscuits loaded with rotisserie chicken, cheddar cheese and bacon are a delicious hand held snack. 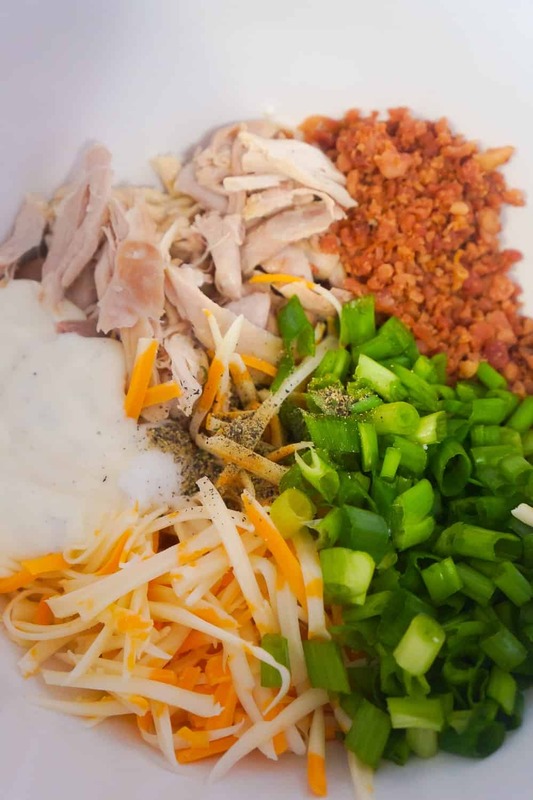 In a medium mixing bowl combine shredded chicken, bacon bits, ranch dressing, shredded cheese, chopped onions, salt and pepper. Stir well until all of the ingredients are coated in ranch dressing. Grease a muffin tin with cooking spray. 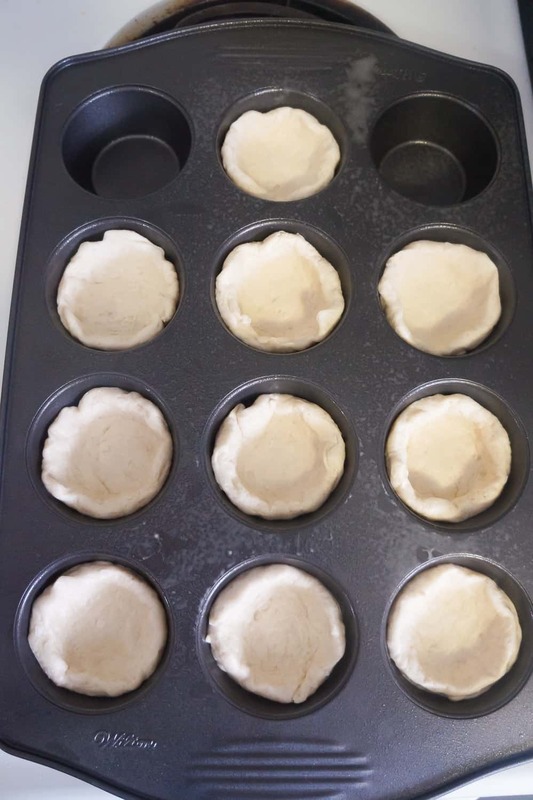 Take the biscuit dough and flatten out each biscuit with your fingers before placing them in the muffin tin to form cups. Divide the chicken mixture evenly between the biscuit cups. The chicken mixture might come up higher than the sides of the biscuit cups but it's okay because the biscuits will rise up as they cook. Place the muffin tin in the oven and bake for 18-20 minutes until the tops of the biscuits are golden brown. Remove from oven and allow to cool for a couple of minutes before removing the cups from the pan.